Organic Commodities started a joint venture in Yangon, Myanmar in 2013. We currently have 3 staff on the ground in Yangon …an Australian who oversees all rice operations and supervises two local employees who collectively have over thirty years rice experience having worked for one of the major commodity inspection agencies. 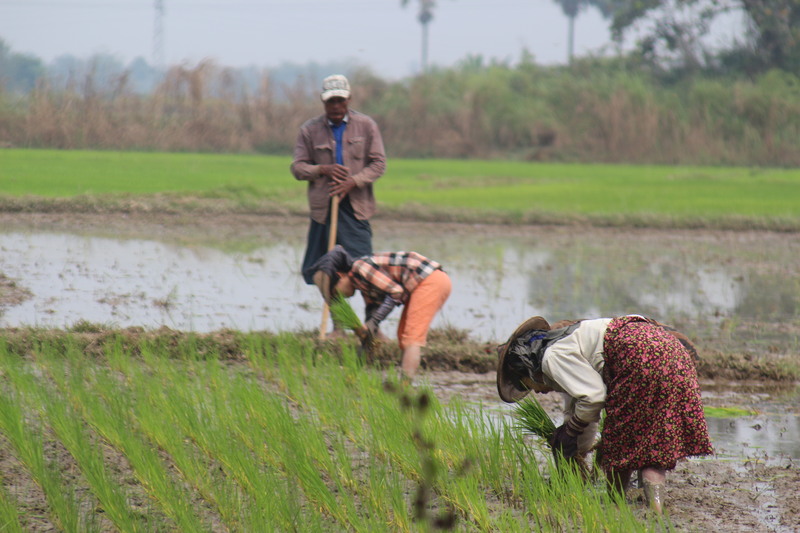 There are over 5,000 rice mills in the Irrawaddy Delta and we source rice from over 100 mills. On arrival at our warehouse each bag is sampled for quality and substandard rice is rejected. We are able to deliver sortexed and non- sortexed rice and deal in all grades from 5% broken to , B 12, B234 and 5,6. We can pack containers of bagged product, or in bulk with a variety of bulk-heads used from a bag wall to plywood. We are also currently looking at using Australian manufactured container liners with steel pipe bulk head beams. Our competitive advantage in Burma is that our operations are supervised by an Australian who speaks Burmese. We ship over our Singapore registered company – Organic Commodities Pte Ltd.
We strive to under promise and over deliver on quality, weights and logistics.